Our STANDARD Wedding Flower Package consists of 1 x bridal bouquet, 2 x bridesmaid bouquets, 3 x men's buttonholes, 1 x throwaway bouquet and local delivery in Sydney metro. Couples are able to request their preferred flowers and colours when placing their order. The Wedding Bouquet: Based on a medium sized clustered wedding bouquet using your choice of flowers and colours. 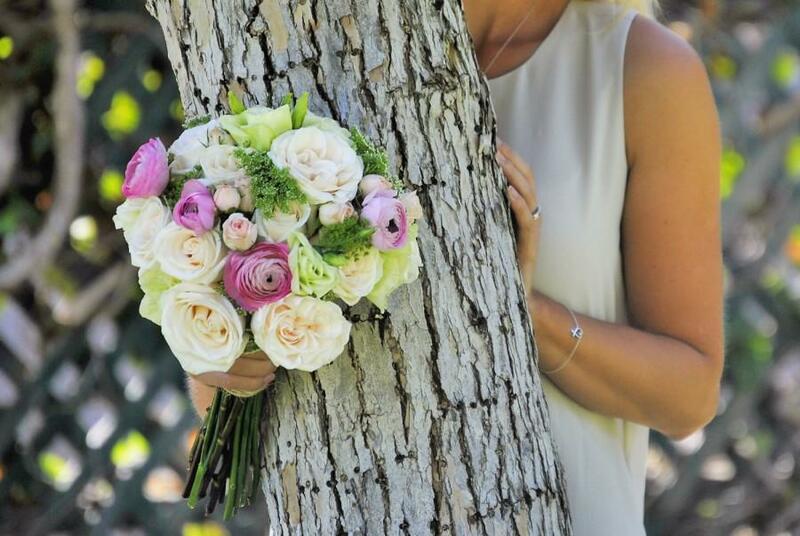 Bridesmaids Bouquets: Based on a small sized clustered bouquet in a variation of the bride's flowers and colours. Buttonholes: Based on the feature flower used in the wedding bouquet (with a special variation for the groom). Throwaway Bouquet: A small posy using similar colours and flowers as the bride and bridesmaids. Order Cut-Off: Minimum 14 days prior to wedding.